Gert Kopera joined Hakkasan Group in early 2017 as the Executive Vice President of Restaurants Global, where he oversees all activities of Hakkasan Group’s continuously growing restaurant collection. Kopera has worked closely with Hakkasan Group teams around the world to successfully retain Michelin-star status at three of its restaurants worldwide, Hakkasan Mayfair, Hakkasan Hanway Place and Yauatcha Soho, evidencing the group’s dedication to creativity and the highest levels of quality. Hakkasan Group’s commitment to worldwide expansion is Kopera’s top priority, as he personally oversees the opening of new properties, including Hakkasan Jakarta, which is slated to open in early 2019 and will feature the first-ever Hakkasan rooftop, as well as the recently opened Hakkasan Dubai at Atlantis The Palm and the upcoming, truly stunning Hakkasan at the Royal Atlantis Dubai. Kopera has also made Ling Ling’s international expansion a principal focus, having recently opened two locations in Oslo and Marrakesh. Kopera is presently working on additional opportunities for the lifestyle brand’s expansion. Kopera also maintains Hakkasan Group’s reputation for operating and developing unique restaurant brands. The exciting and colorful Día de los Muertos-themed cantina Casa Calavera in Los Cabos, Mexico is a strong example of Hakkasan Group’s diverse portfolio of restaurants. Prior to joining Hakkasan Group, Kopera left his mark on the hospitality industry at a global level. 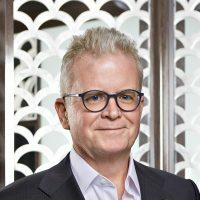 Having worked in hospitality for over 30 years, Kopera is an industry veteran, and most recently served as the Chief Operating Officer for D.ream, prior to which he was based in Dubai as Senior Vice President for Jumeirah Group. Before focusing his career purely on restaurants and bars, Kopera spent 15 years with Rosewood Hotels and Resorts serving in both on-property and corporate-based positions. In his roles as Director of Operations and Managing Director in Saudi Arabia, Japan, Switzerland and Indonesia, Kopera oversaw daily management and operations for several hotels, and used his passion and drive to develop restaurants and bars in Rosewood hotels across the globe. He then moved to the company’s corporate headquarters in Dallas, Texas, where he served as Vice President of Food & Beverage for Rosewood. In this role, Kopera was responsible for the success of all restaurant and bar operations encompassing the company’s entire portfolio. During the 13 years prior, Kopera called Hilton International his family, and he spent his early career working in food and beverage roles based in Austria, UK, UAE, Madagascar, Kenya and Greece. Kopera’s extensive background in hospitality and deep passion makes him a visionary for the future of the global hospitality industry. Emphasizing the importance of incessantly building a family-like culture, Kopera’s focus lies overwhelmingly on career building and employee development. The main ingredient for his repeated success is founded upon a company’s greatest asset – its passionate people.